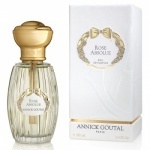 Annick Goutal Rose Absolue Perfume. 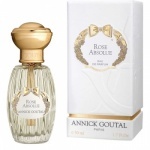 Annick Goutal Rose Absolue Perfume is a distinctive, delicate, feminine, romantic and prestigious fragrance with a wealth of textures and layers. Annick Goutal Rose Absolue uses all of the most beautiful roses in the world and concentrates them in this perfume absolute. Annick Goutal Rose Absolue Perfume is composed of six different types of rose: May Rose, Bulgarian Rose, Turkish rose, Damascus rose, Egyptian rose, and Moroccan rose.